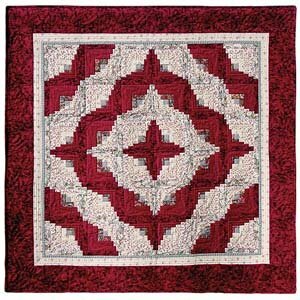 Just like the traditional Log Cabin quilt, this quilt is pieced the same way, expect it uses fat and thin strips of fabric, thus giving you the curved look. This is a fun one to piece, and goes together quite quickly. Several layouts will be shared for the final construction. Materials not included. Friends Around the Block will give 10% discount on supplies purchased for this class.